It's official! Following today's final issue of the Darth Vader ongoing comic, it's been revealed that the ongoing series that will replace it is indeed a whole new series for Vader's former partner-in-crime, Doctor Aphra, and her motley crew of angry Wookiees and killer droids. Cover art by Kamome Shirahama. Although today's issue of Darth Vader violently terminated Aphra and Vader's alliance, her fate was left open — and now we know why. 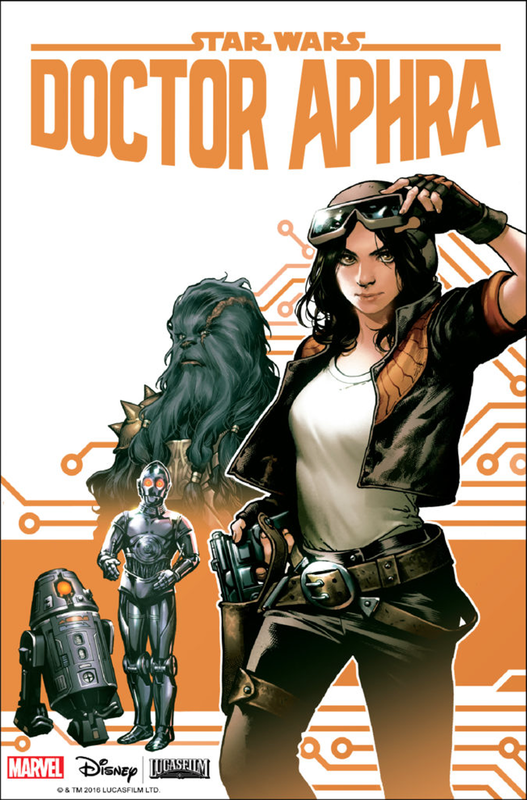 First revealed by the Star Wars Show today, Doctor Aphra, written by Vader scribe Kieron Gillen and with art from Kevin Walker, will begin later this year. 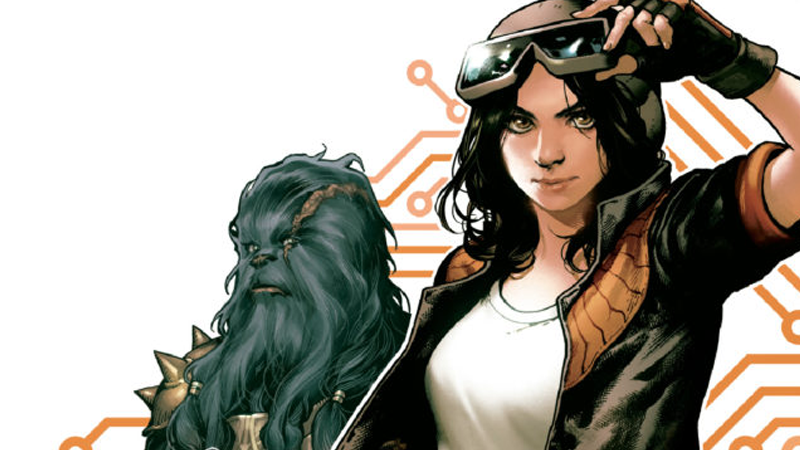 Joining Star Wars and Poe Dameron as Marvel's ongoing series set in the galaxy far far away, Aphra will be set after the end of Darth Vader, with the smuggler in hiding to avoid the wrath of Vader, while also dealing with the massive amount of money she owes to Wookiee bounty hunter Black Krrsantan. Vader might be out of her life, but Aphra's still go stories to tell. Check out the full cover for issue one, hitting shelves in December, below. I hate cutsey sidekicks like Aphra and the way other characters are forced to endure their "humorous antics", even when it is out of character for them to do so.